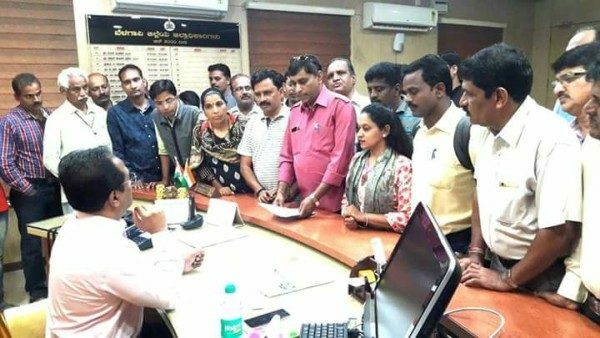 Various members of the Print and Digital media submitted a memorandum to the DC condemning the murder of Journalist Gauri Lankesh in Berngaluru. The government needs to ensure safety of journalists and progressive thinkers in the State and crack the case without any delay. In a meeting organized in the evening the senior journalists condemned this brutal act and planned to hold a rally at Rani Chennama circle on Friday to protest against the same.